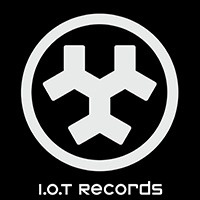 Music label founded in Marseille in 1998, I.O.T. Records is the mark of the independent company CYLID production and editing. After producing many EP for DJ's, the label focused on the most challenging projects including via Expedisound series, which builds bridges between cultures in a constantly changing world. Through sound experience, Expedisound invites to realize the extraordinary cultural diversity of our land, and attempts to cross the public in listening of ethnic and electronic music. At the same time the label develops its eclecticism accompanying [via different musical sensibilities] groups in their development: Controversial South African Rappers DOOKOOM', drum' and jazz MINIMAL ORCHESTRA, dissonant beats drenched landscapes frantic and cosmic synths from LOAN and the asbtract hip-hop beatmaker AL'TARBA are the current projects promoted by the label.